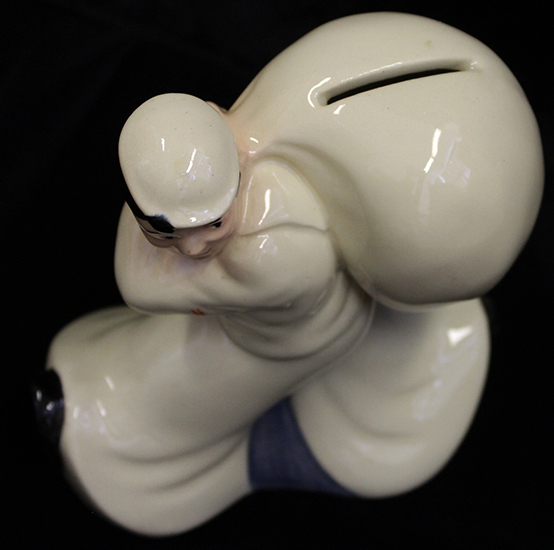 ARTIFACT: Great WWII vintage figural sailor bank from Seamen�s Bank for Savings. 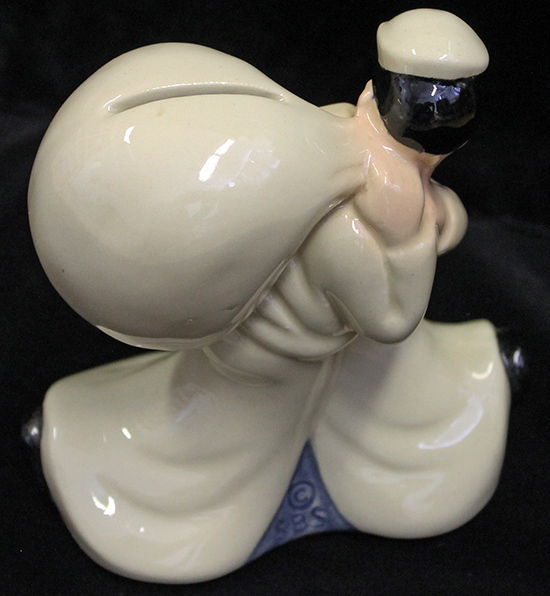 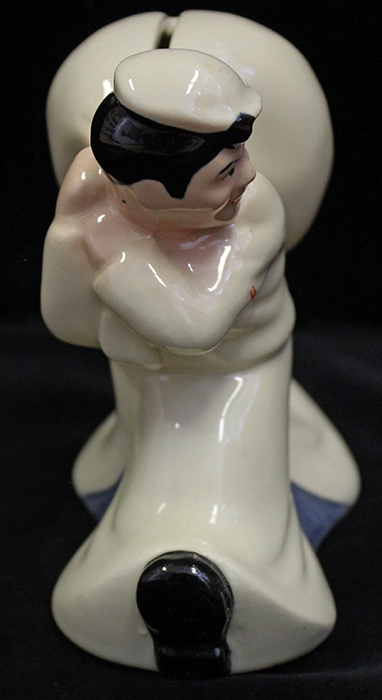 The figure is a walking sailor carrying his bag over his shoulder and his bag features a slot for coins. 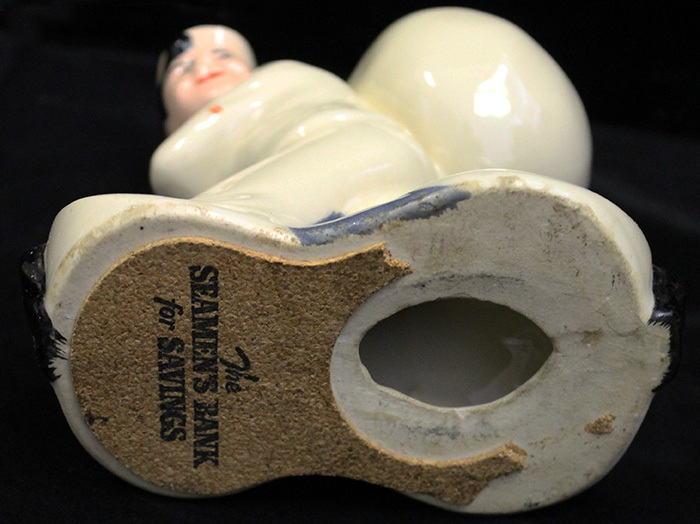 The base of the bank is lined with cork and reads: �THE SEAMEN�S BANK FOR SAVINGS� and the reverse of the bank shows: �SBS� imprinted in the ceramic. 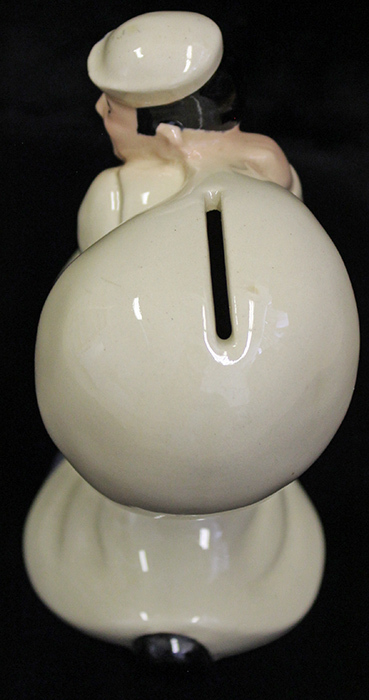 CONDITION: 8+ (Excellent): The bank shows minor to moderate wear, plug is missing, and much of the cork remains on the base, overall excellent condition.